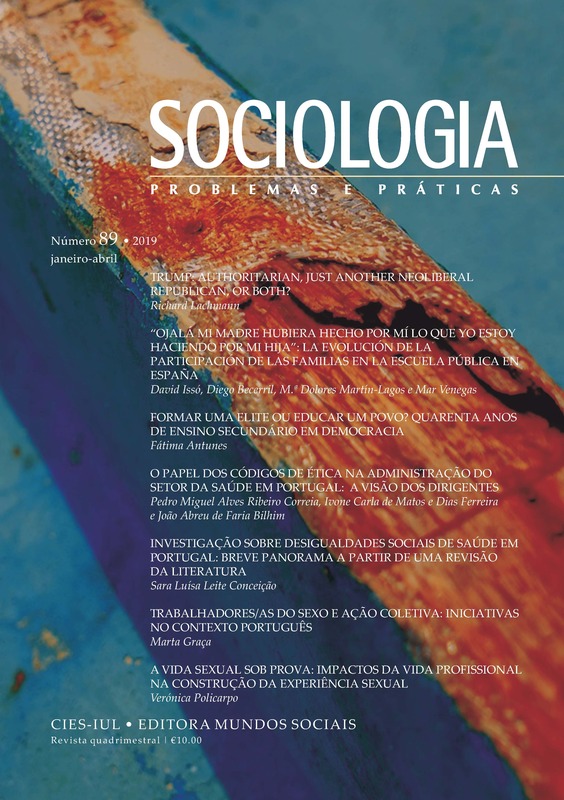 The main goal undertaken in this paper is to contribute to understand one of the facets of secondary education in Portugal: its slow democratization, expressed through the real rates of enrolment and completion. Certain relationships between that process of democratization and public education policies, that shaped the rhythm, the profile and the results of this dynamic, are discussed with the support of statistical data and specialized research on the theme. The study here presented identifies three stages in six time moments and different projects, since secondary education was the privilege of a small fraction (8.1%) of young people in 1974/75 to the democratization push in the past decade and, in recent years, the institutional combination of universality (74.3% of young people in 2013/14) with the fabrication of pronounced inequalities in secondary education and training system.